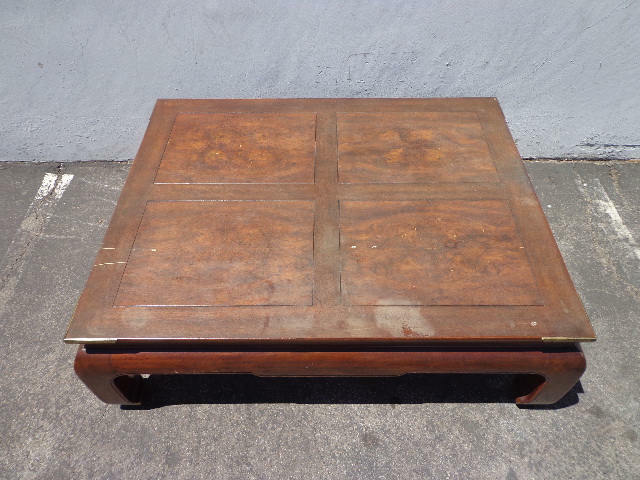 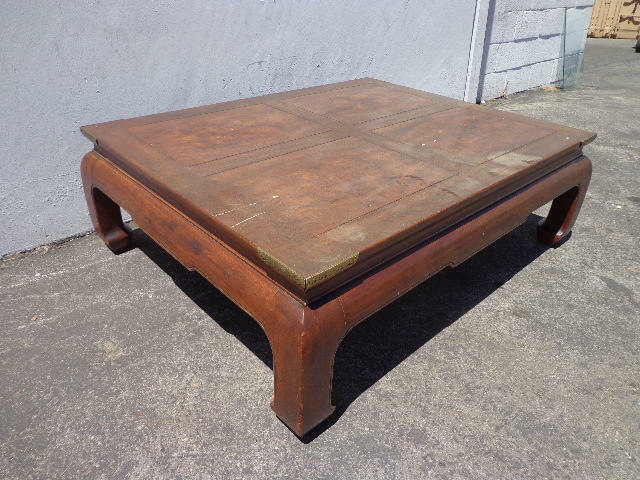 Fabulous vintage campaign style coffee table. 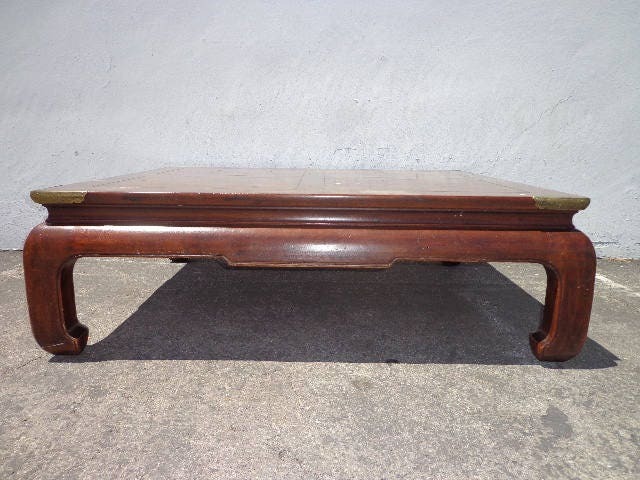 Constructed of solid hardwood and resembles the style and design of James Mont. 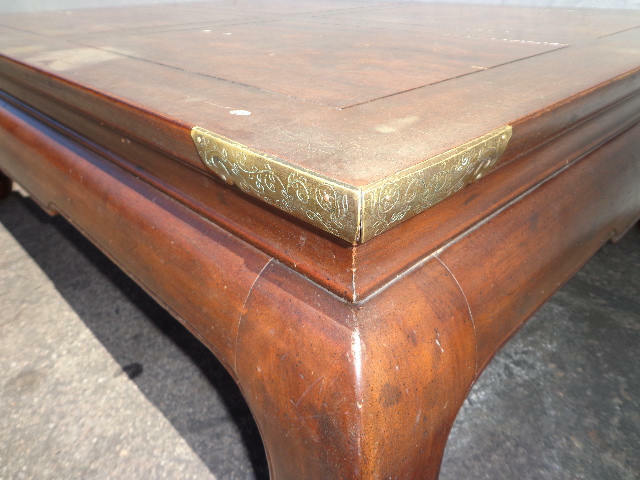 Features brass corner accents and handles that fit snugly into the side of the table. 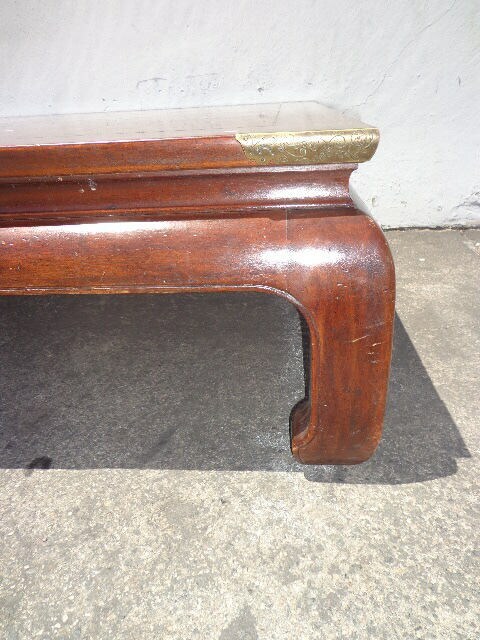 Measures: 48" x 32" x 16.5"
Some refinishing may be needed.